Thinking about skipping your next 6-month dental cleaning and oral exam? Think again! Regular checkups are absolutely essential for your oral health. If you see Dr. Joel Darrah of Buckwalter Dental Care for a check-up every 6 months, you can get a brighter, more beautiful smile, and avoid more complex dental treatments, saving you time, pain and money. Get A Teeth Cleaning Every Six Months? Stop gum disease in its tracks – Gum disease is caused by poor oral hygiene, but it can often be detected and treated before it becomes serious if you see your dentist regularly. Avoid tooth decay, cavities, and root canals – Teeth cleanings and oral exams allow oral hygienists and dentists to identify tooth decay before it progresses into a serious cavity or tooth infection that requires root canal therapy. Often, minor cases of tooth decay can be reversed with proper cleaning habits and fluoride treatments. No fillings required! Remove plaque and tartar to cure bad breath – Plaque is a sticky, colorless substance that is composed of the bacteria that grow in our mouths. Over time, this can harden into tartar. Tartar is a cement-like substance that is often found between the teeth and gums, and it can cause gum inflammation and halitosis (bad breath.) Dental hygienists can eliminate tartar, restoring your mouth and preventing bad breath. Save money with preventative dentistry – A teeth cleaning and oral exam are the most basic and inexpensive procedures that dentists perform. Plus, they are almost always covered by dental insurance plans. From simple fillings to complex periodontal treatment, the cost for services only goes up from there. Getting a regular oral exam helps you save money, because you can avoid these more expensive restorative dentistry procedures. Improve your smile – Last, and certainly not least, oral exams and teeth cleanings improve your smile. Powerful dental toothbrushes and professional cleaning techniques can help eliminate stains and brighten your teeth. That’s not all, either. X-rays and oral exams can also help detect other health issues, such as potential cases of oral cancer. We Offer Sedation Dentistry To All Our Patients! If you are scared of going to the dentist, or suffer from dental anxiety, you may be inclined to avoid your six-month checkup. Well, don’t worry! At Buckwalter Dental Care, Dr. Darrah offers sedation dentistry to keep you calm and pain-free! We can use oral (pill-based) sedation or nitrous oxide to help you cope with your anxiety, and ensure that you get the professional dental treatment that you need. Your comfort is our #1 priority. 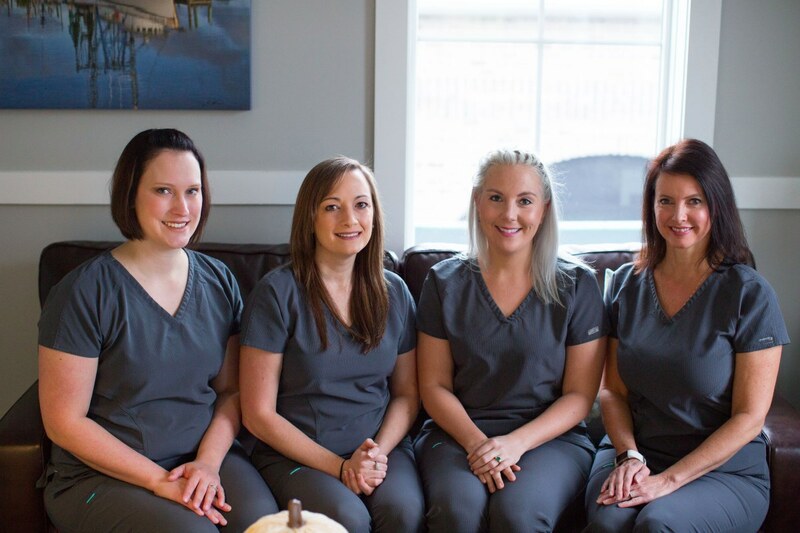 See our patient testimonials for more about our sedation dentistry services, and our approach to treating dental anxiety! For Your Next Dental Cleaning And Oral Exam!